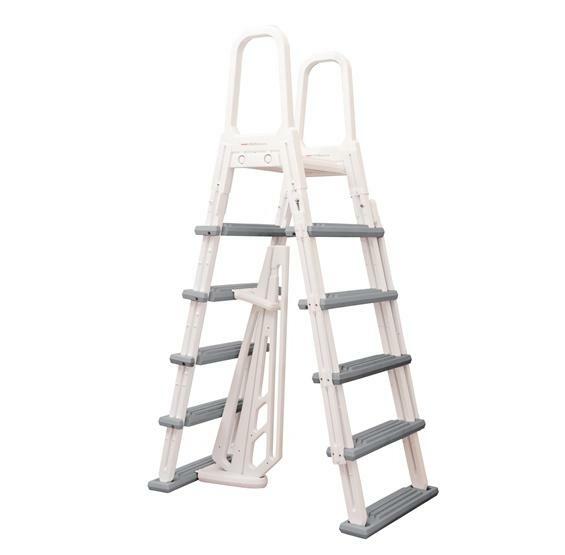 HEAVY-DUTY ABOVE GROUND A-FRAME LADDER STURDY, SAFE, AND BUILT TO LAST! FREE SHIPPING! 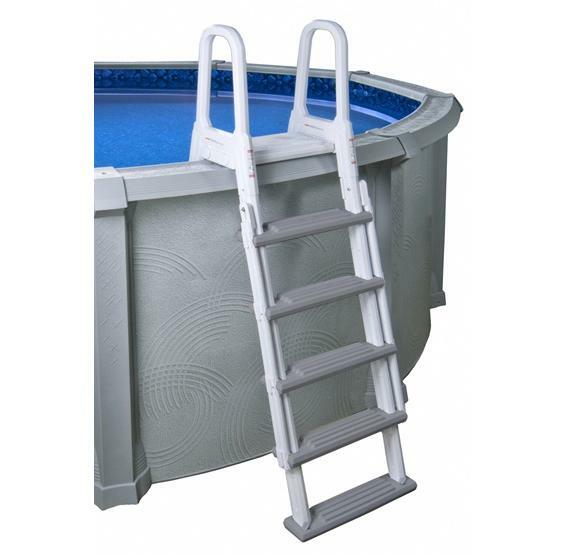 Loaded with safety features to meet strict building codes, this heavy-duty resin a-frame ladder provides stable entry and exit for non-deck above ground pools with 48" to 54" pool walls. 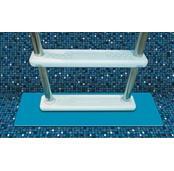 Wide, non-skid treads for secure footing. 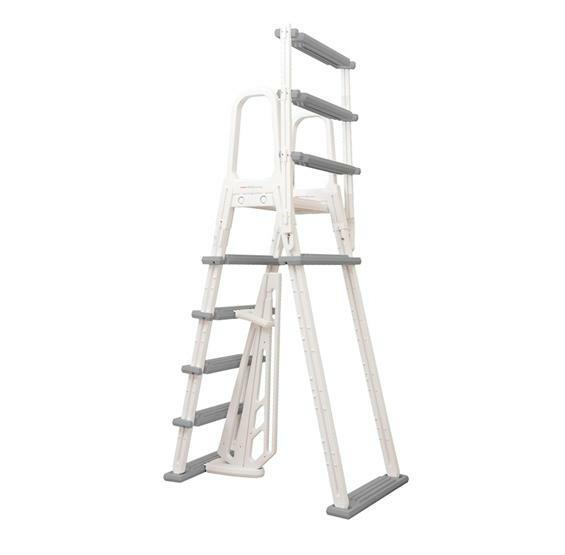 Child-proof barrier behind ladder meets ANSI/APSP safety codes to prevent entrapment. 3 year warranty. 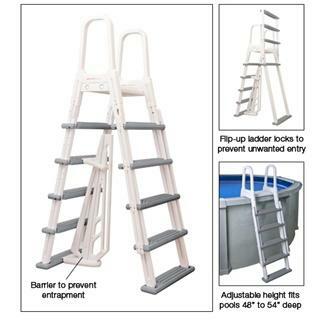 Nice pool ladder for the money. 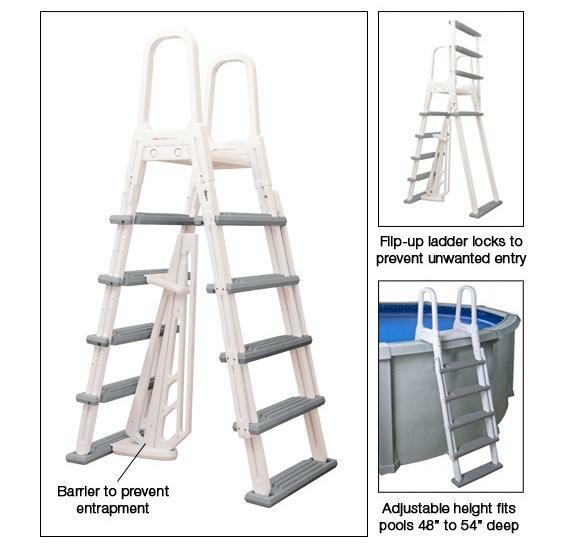 Got tired of the flimsy pool ladders so upgraded to the A-Frame ladder. Worth it! Plus you got to love the free shipping on items this big!